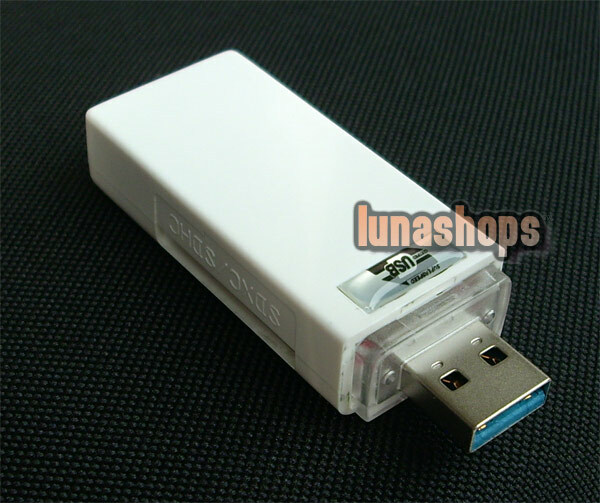 USB3.0 Specification, compatible with USB 2.0/1.1. Supports: SDHC, SDXC, MMC, RSMMC, DV-RSMMC, MMC Mobil, Micro SD, Micro MMC, T-Flash, Mini SD(only with optional adapter). 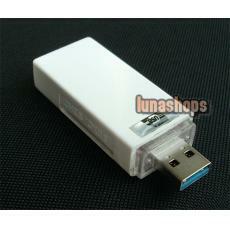 Supports Low-speed (1.5Mbps)/full-speed(12Mbps) /high-speed (480 -Mbps) /super-speed(5Gbps). Size: 6.7cm x 2.5cm x 1.4cm - 2.63inch x 0.98nch x 0.55inch.